You’ve all heard of the popular Canadian poutine, right? Basically it’s fries topped with gravy and cheese curds. It’s delicious! 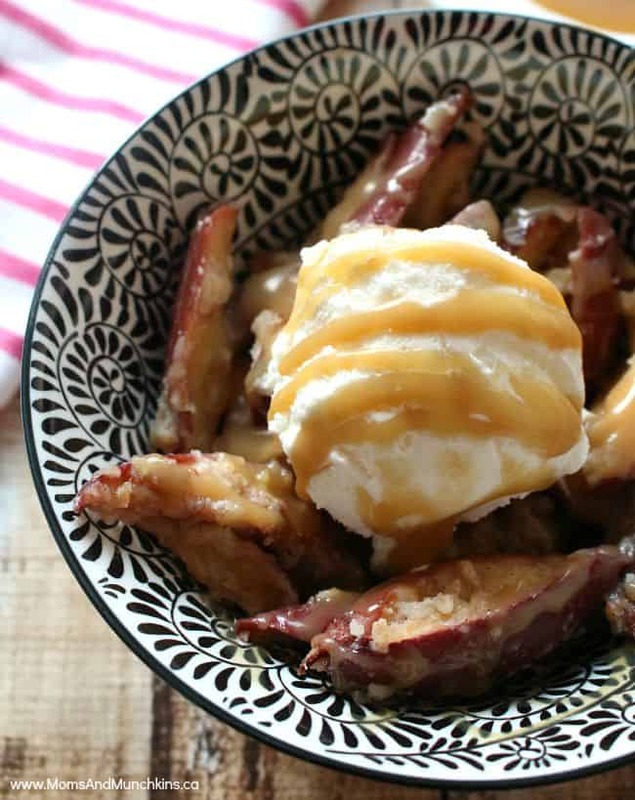 Today I’m sharing a sweet version of this popular dish – Caramel Apple Poutine. 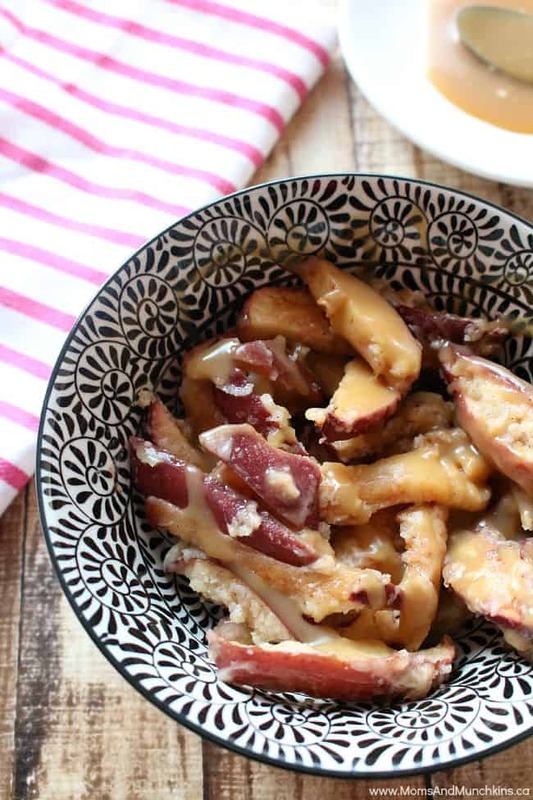 Swap the fries for apple slices and the gravy for homemade caramel sauce. Super sweet & totally tasty! For some added texture, I added a super simple pie topping to the apple fries but you could leave it out and still have a yummy dessert. Slice apples into strips (like fries). Lay apple strips flat on a baking sheet (ungreased). Mix 1 tablespoon sugar and 1 teaspoon cinnamon together then sprinkle over apples. For pie topping, mix flour, sugar and cold butter together until it's a crumbly mixture. Sprinkle over fries and bake for an additional 15 minutes. For caramel: In a saucepan, combine brown sugar, cream and butter until it comes to a boil. Stir constantly as it can burn easily. Let caramel mixture boil gently for 5 minutes. Remove from heat and allow to cool & thicken before using on your dessert. 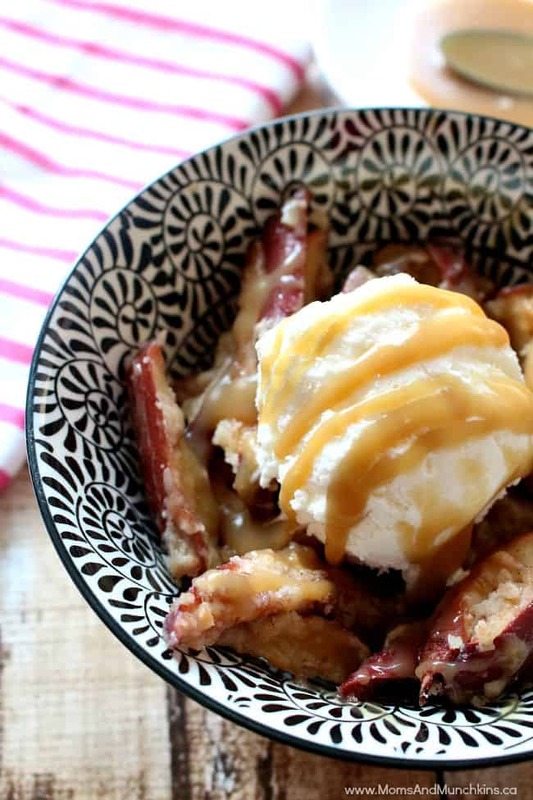 Serve apple fries in a bowl (serve warm), drizzle with caramel sauce and top with a scoop of vanilla ice cream. Suddenly craving poutine? 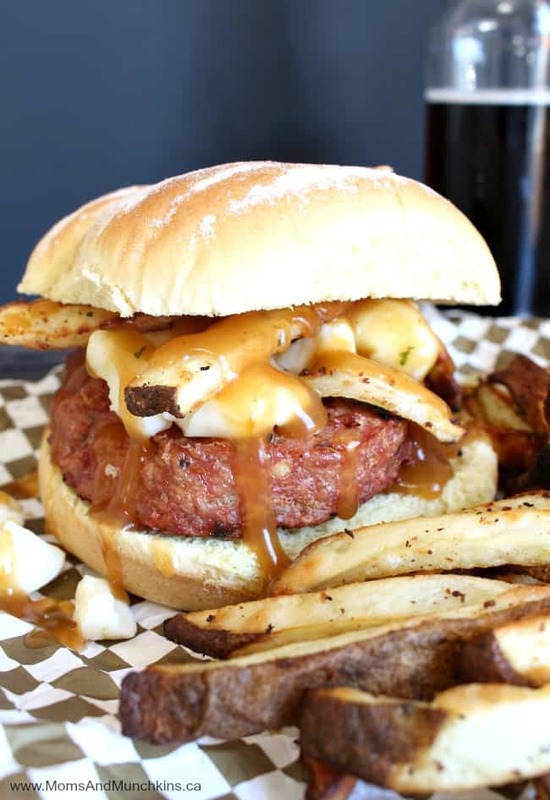 Be sure to check out our very Canadian Chicken Poutine Burgers! You’ll find more delicious recipe ideas on our recipes page. We’re always adding new ideas! Follow us on Facebook, Twitter, Pinterest, Google + and Bloglovin’ for the latest updates.